www.searchingforreason.net : FEATURE ARTICLES. THE DIVINE RIGHT OF KINGS- WHAT THE FRAMERS OF THE U.S. CONSTITUTION UNDERSTOOD, AND WHAT MANY AMERICANS FORGET. FEATURE ARTICLES. THE DIVINE RIGHT OF KINGS- WHAT THE FRAMERS OF THE U.S. CONSTITUTION UNDERSTOOD, AND WHAT MANY AMERICANS FORGET. We have a great division in the U.S., and it is a tragedy of certain groups using religion as a tool to bend every American to their restrictive code of morality. To often, they listen to populist media outlets and self-serving political pundits, and suspend their ability to think critically. In past articles I have reviewed the text of the U.S. Constitution, and analyzed any sections that were related to religion. As we have seen, this can be found in only two places; Article Six and the First Amendment. From these passages we can understand the place religious faith was meant to occupy in terms of public policy making and the creation of new laws. Since that topic has already been covered, I will not repeat it here. However, I would like to address a subject that is seldom discussed among students of American History: The role European History had in shaping the opinions of those drafting and creating the Constitution, in terms of what role religion would play in forming the new government. The Framers of the Constitution were a product of the "ENLIGHTENMENT", a philosophical movement that emphasized the use of reason and intellectual reflection in solving social and political conflicts, with less emphasis on faith and traditional church doctrine. 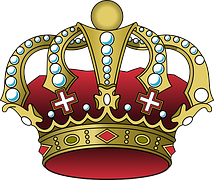 Too often, European Monarchs used the idea of the "Divine Right of Kings" as a justification for their throne. Throughout the middle ages, the average "Citizen or Subject", lived a life filled with disease, hunger and physical hardship. Religion and the concept of "A Heavenly reward for the righteous" offered a promise that Death would bring what life couldn't: Eternal Happiness. It was under these conditions that European Royalty realized an important truth; To secure the Throne, and guarantee succession of their Bloodline, endorsement by a Religious Hierarchy would naturally lead to obedience from the faithful. After all, who was going to tell GOD that the wrong person was on the throne. Organized Religion also benefited, for while they claimed to have GOD on their side, there was no Martial Force to protect them from rival faiths who wished to compete for the souls of the citizenry. However, put the right person on the Throne, and your opponents may suddenly become very quiet. Cold Steel can be a powerful persuader, if it is pressed to your neck. The Framers of the Constitution realized the inherent hypocrisy of this "European Tradition", and did not want it transposed to the new Constitutional Republic. That is why the following words mean so much: "WE THE PEOPLE...", no reference to a Deity or a Sovereign. Perhaps, for the first time in history, intellect alone was the foundation for forming a Government. Religious Faith can be a great source of comfort and relief to the faithful. However, spiritually, it must come from within. If it comes from a ruling class, and their ecclesiastical allies, then it is a case of might makes right.